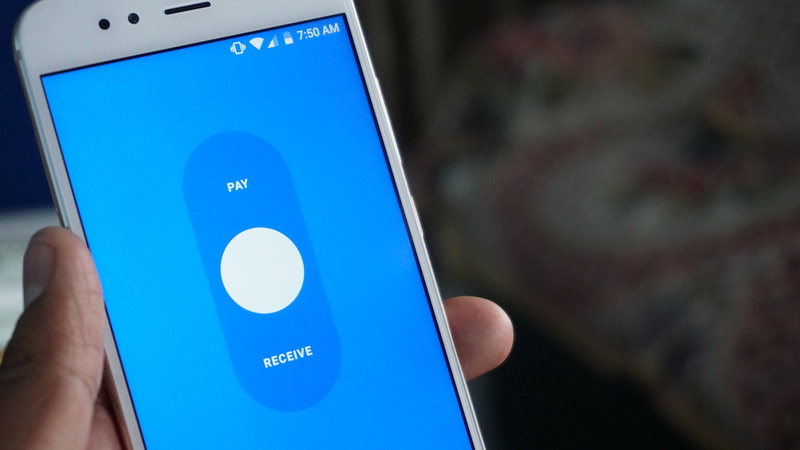 While the Tez Payments app from Google is already picked up within hours and even before the official announcement, there are certain issues in the app that people are already reporting about, hoping for a quick fix from Google or the partnering banks. While we have a guide for you to see how to use Tez app, let’s list out the problems that users are facing. 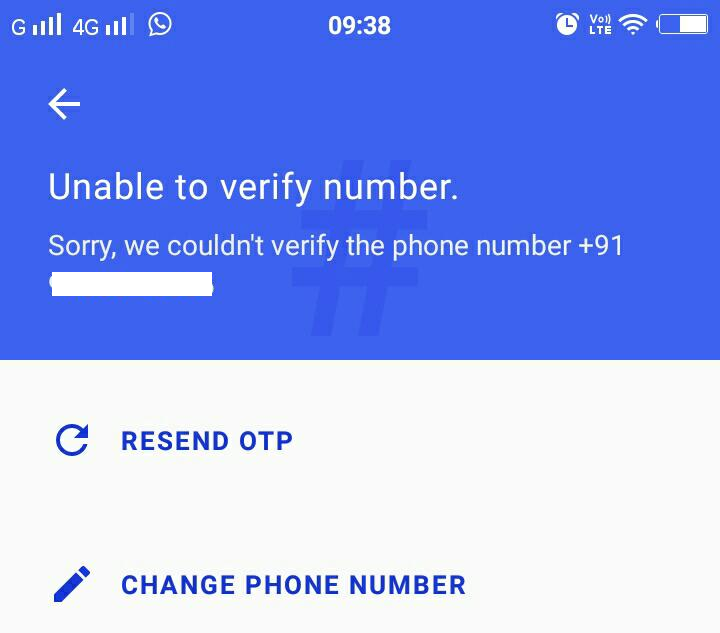 While the app says that the OTP is being sent to your phone number and it has a counter of 2 minutes for the OTP to be automatically read, the one-time password never arrives and you keep waiting for that. Some users have got stuck there itself and this usually doesn’t have to do with the app because it is the phone number and the network that is the cause for this problem. Some Airtel and Tata Docomo users are facing the issue. There is no quick fix for this because using a different phone number wouldn’t make sense when you want to have your number with bank account and UPI account linked to it. 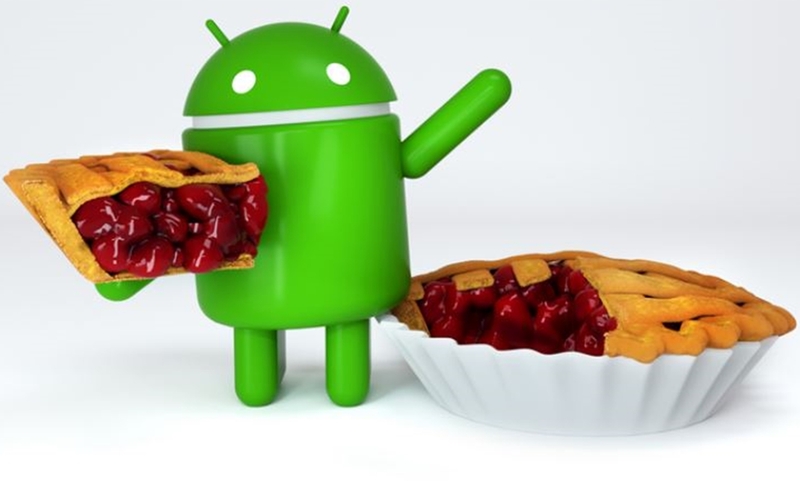 Some users root their phones to enhance the functionality and enjoy the extra access they get to the file system, and some of them go ahead to install a custom ROM if the actual interface on the phone is not likeable. 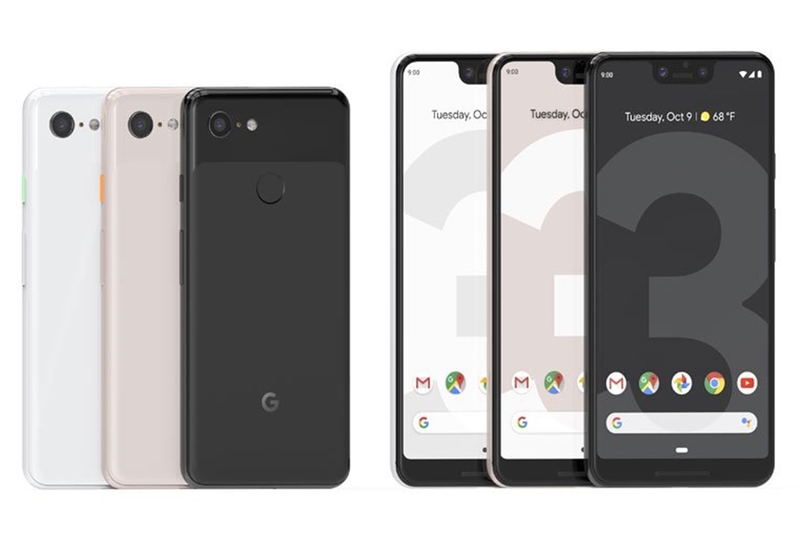 Here, Google Tez wouldn’t work on such phones. 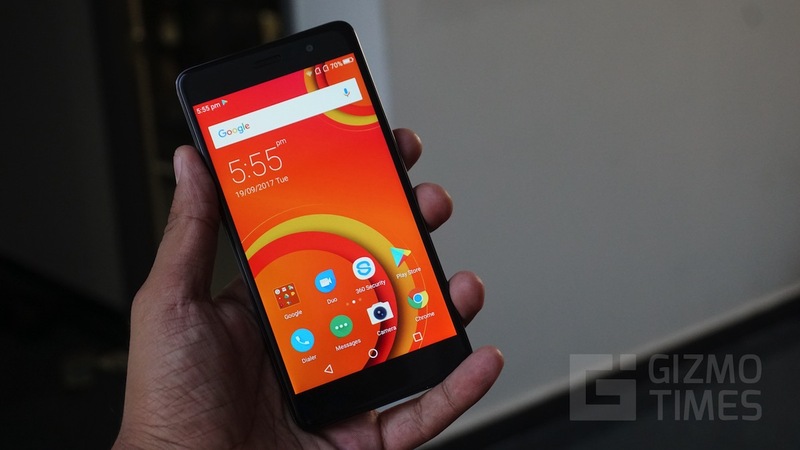 It is because, according to the note mentioned in the app, the phone has a software that is not secure enough and thus, the app won’t work on it. We are sure this is a temporary error and either a server error or some other authentication issue but the users are not able to add their SBI account or Axis Bank account. The error says the following. Sorry something went wrong. We’re looking into it with your bank. Your Tez phone number is linked to your bank account. You can access the Internet. If you have a joint or NRI account, it may not be supported. Call your bank. As the note itself has mentioned, check for those things to see if you can fix it by yourself, or just have patience and try again later if you are facing this error. We tried with the ICICI Bank and it instantly connected the bank account within a minute. While we are writing this, a couple of users with the “Bank of India” account also reported of the same issue. 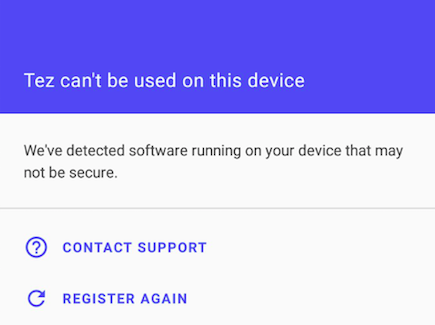 Now, if the two don’t work with each other, it is weird and plain wrong because the users on Enterprise accounts are the ones paying to get the services, but for now, this is what it states if you are trying to register on Tez with your enterprise account email ID. What’s the fix for this? For now, as the note itself mentions, sign in with a personal account. 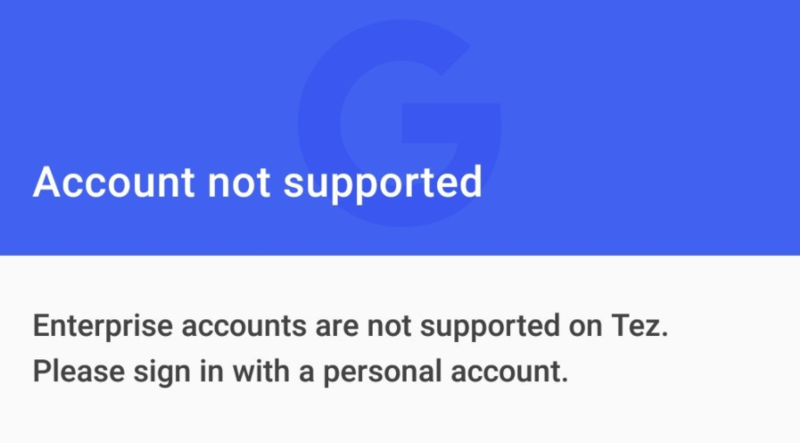 Google might probably work on it to support the enterprise accounts later and it could either be some issues with the partnership, or with the authentication, but these accounts won’t work for now. Thankfully, for now, we aren’t seeing anyone reporting or talking about a problem with the transaction itself because whatever the users are sending initially to test the app, is going on fine. 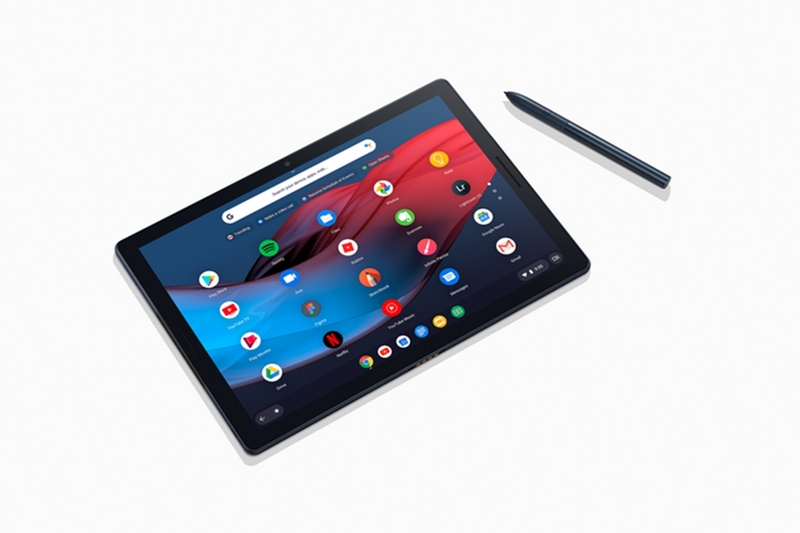 And to be clear about it, we are talking too early as Google is yet to announce the app officially and thus, some features might have not been enabled. 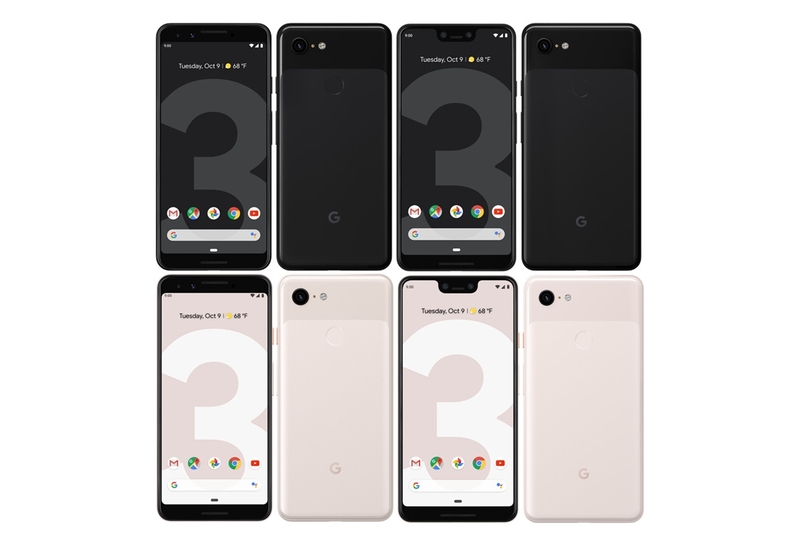 Let’s see if Google is fixing these issues. If you are getting any issue while using the Tez app, let us know in the comments. Rooted devices or devices with hackable apps like lucky patch will prevent installation of tez automatically, its an high secure app. When I am linking with Andhra bank account. It shows can’t find phone number and account with selected bank. I tried from last 5 days. It shows same message. While I am trying to add my hdfc account, it says couldn’t send SMS.. error! sir mere 40rs.SMS bhej diye lekin ek bar bhi bank ac Tej app se link nahi hua pichle 27dino se koshish kar raha hu please help…. 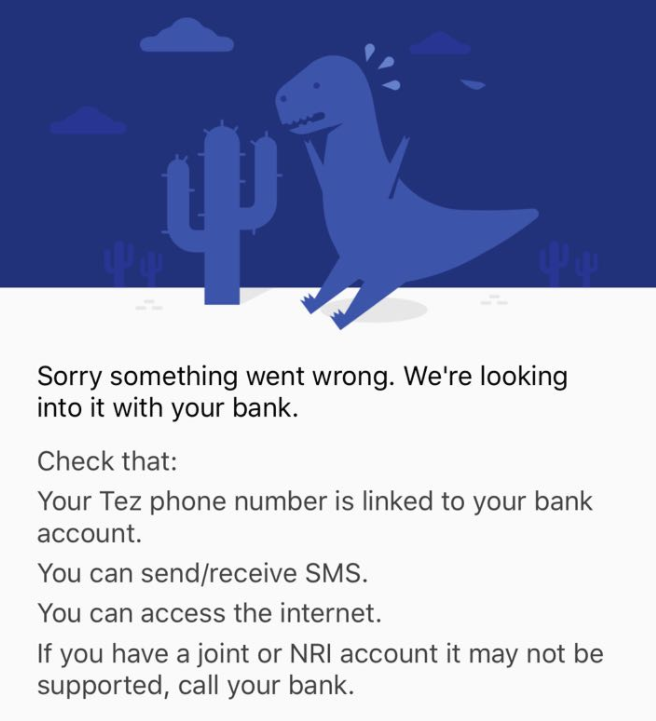 I am sending messages multiple times to add my account in Google TEZ but not able to add bank account. Earlier I have used Tez successfully on same mobile. When i connecting to my Bank Account in Google Pay (Tej App)..it shows the error as “your bank’s servers didn’t respond. Please try again later.” … This message showing number of times… I have personal account only.. So how to solve the problem? 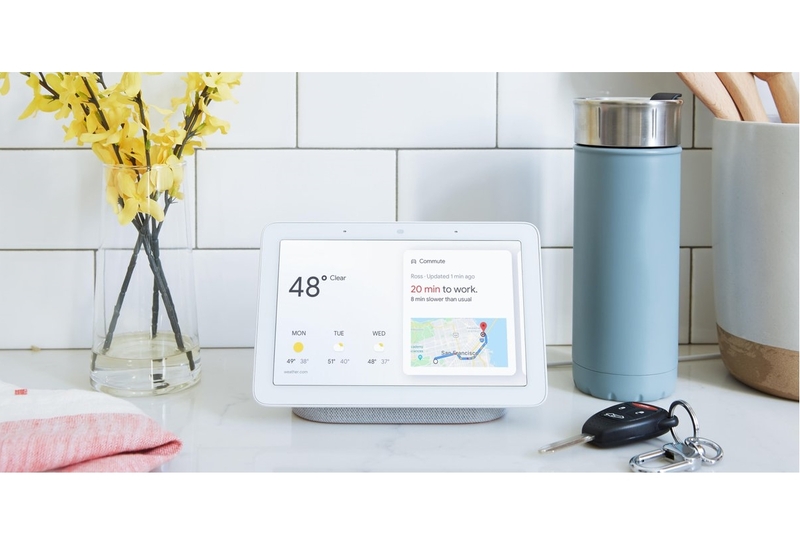 Showing like this on Google Pay how ill join on it?